Curiosity is the hip name in Mars-rovin, but the Opportunity rover was doing it long, long before. 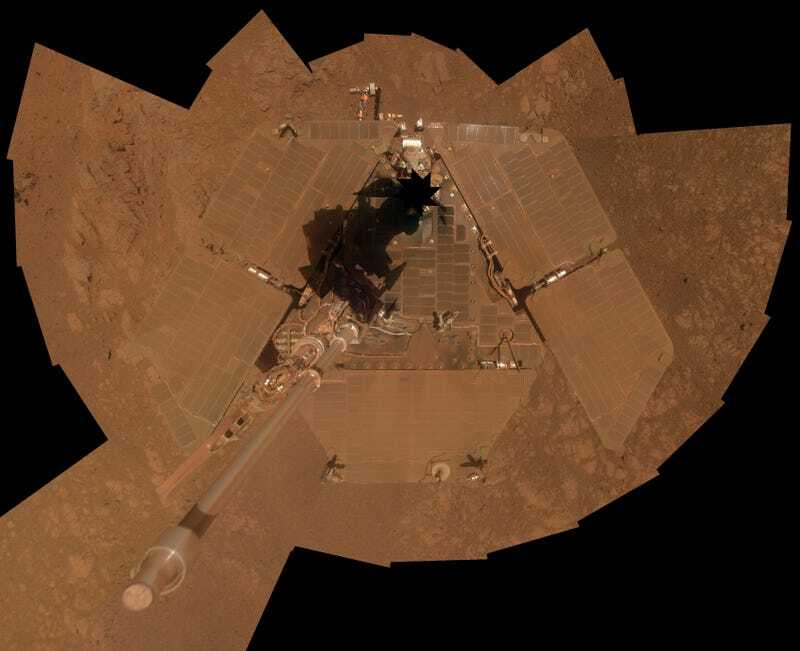 Just yesterday Opportunity hit its ten-year anniversary on Mars—it left Earth ten years ago in July. Not bad for a mission intended to last a mere three (Earth) months. In celebration it sent back a selfie.